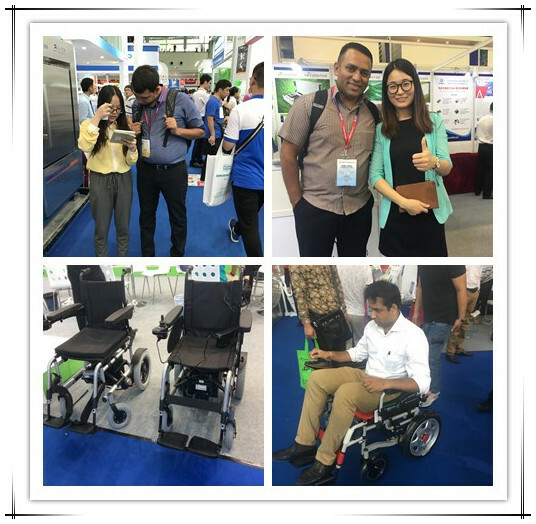 WFT-D07 Foldable Lightweight Lithium Electric Power Wheelchair caught customers’ attention in the CMEF - electric wheelchair China Manufacturer Suzhou Wofftown Co.,Ltd. 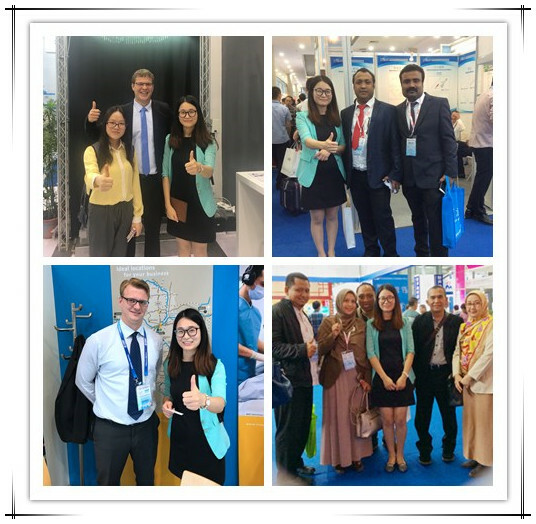 Wofftown attended the 76th China International Medical Equipment Fair (CMEF Autumn 2016).The four days trip draw to a close. We experience the profession of the platform and make much more communication with foreigners. The sincerely communication broaden our horizon and strengthen the conviction to be bigger and stronger on the main industry, adhere to the green and environment friendly, offer ongoing and valuable service to the society. In the exhibition, our leading products WFT-D07 Foldable Lightweight Lithium Electric Power Wheelchair Yellow caught customers’ attention. The durable lightweight aluminum alloy and fashional design are a plus for it.it’s portabl lightweight motorized wheelchair.Of course, the other products such as WFT-A06 Folding / Portable Motorized Electric Wheelchairs and WFT-A08L Heavy Duty Folding Power Electric Wheelchair also attracted many people.